Our beautiful Indoor Cobblestone Theatre has a maximum seating capacity of 50. Advance tickets are recommended as these shows sell out. Doors open 1/2 hour before show time. It is recommended that you arrive as the doors open so you may select your seat (no reserved seats / open seating). Cobblestone Theatre shows are rain or shine. 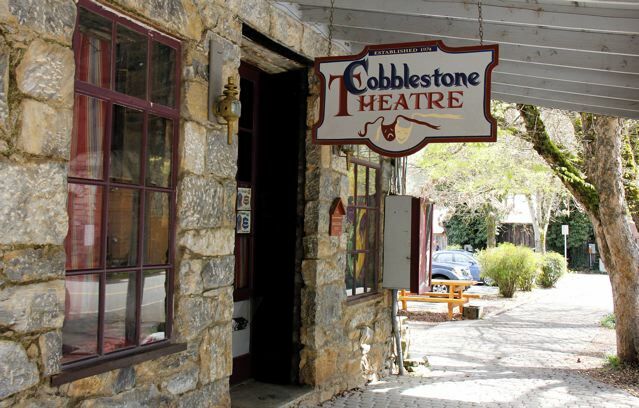 If a performance on the Cobblestone Stage is cancelled during the first hour and fifteen minutes, you may exchange your ticket stub for another show for the current season, or receive a voucher good through next season. There are no refunds for shows.